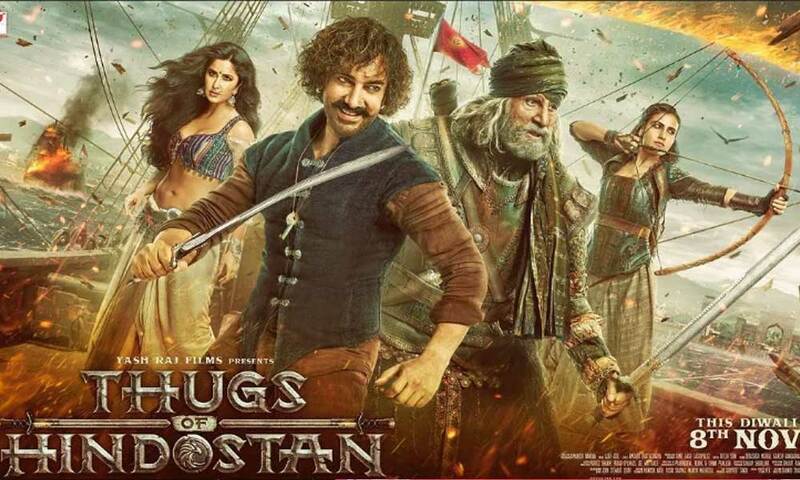 Box Office: Thugs of Hindostan Earns 29.25 Crore On Day 2! Home BOLLYWOOD Box Office: Thugs of Hindostan Earns 29.25 Crore On Day 2! Thugs of Hindostan created box office history on Day one. After collecting an all time record breaking 52.25 crore nett (Hindi + Tamil+ Telugu) on the national holiday, it was steady on day 2. The Aamir Khan and Amitabh Bachchan starrer Diwali entertainer held well to collect 28.25 crore nett (Hindi) on Friday. It also collected 1 crore from its Tamil and Telugu versions. The 2 day total collection of the film including Tamil and Telugu is at a huge 81.50 crore nett. Thugs of Hindostan will race past 100 crore in less than 3 days. Next articleKangana Ranaut Commends Manikarnika VFX , All Set To Shoot For Panga Now!